One of the most rewarding things we experience is the joy of education. Learning is an opportunity to discover something new. It is even more exciting when the discovery is found within the pages of the Bible. A great sense of accomplishment is felt when we begin to understand the meaning of a difficult Bible verse which once caused us so much confusion. It is like a light bulb lighting up. We see the truth so clearly. Sometimes we wonder why we could not see it before. It is always helpful to have someone trustworthy guiding us in our understanding. When the Ethiopian was returning from Jerusalem in Acts 8 he was having difficulty comprehending the passage he was reading from the book of Isaiah. Philip asked him if he understood the things he was reading and he replied, "How can I, except some man should guide me?" He wanted Philip to study with him so he could learn the truth found in the Holy Scriptures. When it comes to God's word we can all benefit from a reliable scholar's guidance. The instructors of the WVBS Online School have had years of study and experience teaching these courses. Every instructor who teaches in the school is presently, or has been, an instructor in a Bible training school. These men are among the finest teachers available today. We are honored to have them as a part of the school faculty bringing to you instruction from God’s word. As a graduate of the school you will have a comprehensive understanding of God's word and be fully qualified to teach the truth to others. Then those you teach can also experience the joy of discovering something new from the pages of God's word. You may have noticed a change in the look of the lesson's list on each course page of the school website. We continue to make improvements to the website in hopes of giving you the best possible experience as you study in the school. Some of the changes are designed to accommodate those who access the school website using a smart phone. By means of a smart phone with internet capabilities you can access the school from any location where Wi-Fi connections are provided. The convenience of an online school is one of the best features of this form of education. Have you ever wished to visit the Bible lands? 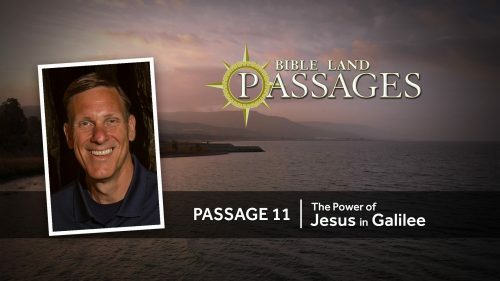 If you are not able to make the journey yourself the next best thing could be watching a new, free series of programs called "Bible Land Passages." Contact us if you cannot login. Copyright © 2019 WVBS Online Bible School. All Rights Reserved.